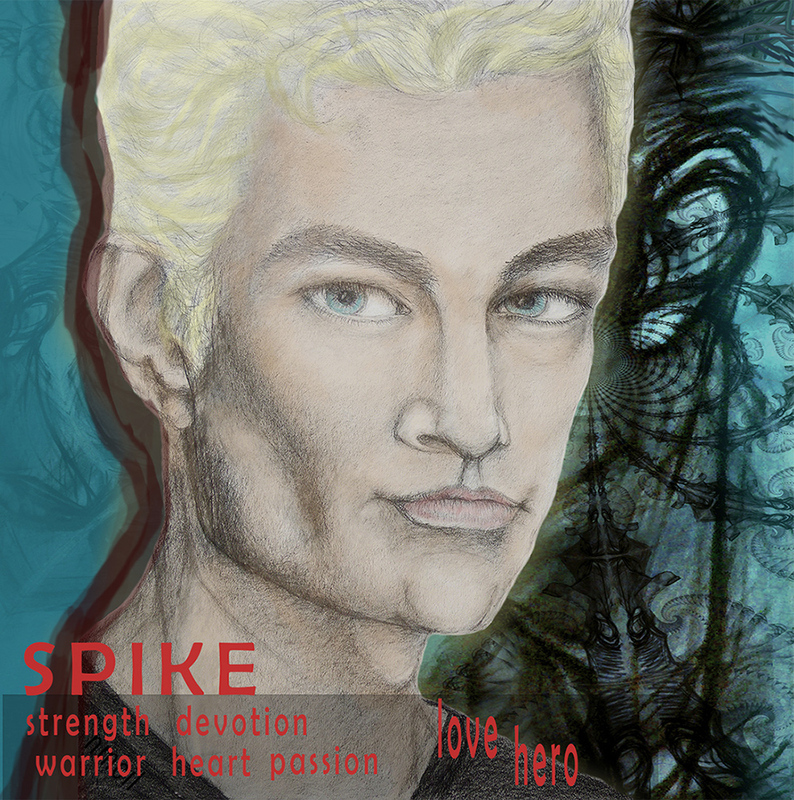 Been working on new drawings of Spike and James Marsters and using them for graphics. This piece was created for the Buffy Forums Buffy 20 Years Anniversary. It's been a very long time since I did graphite works on paper and found that I really enjoyed working with this medium again. Still, super difficult for me to do portraiture but always working to improve. Some outstanding works being created for the Buffy Forums project - be sure to check them out. Lovely...his eyes in this one! 😘 these are a lot of work, huh? What's the forum project? Again - thanks for your visit and comments. These do take a bit of time but - guess what they really take is care not so much time. For people who are still in the learning phase it takes much more time and care - doing realistic drawings of people has always been a big struggle for me it's not an art form for which I have much aptitude for. But it really is satisfying to keep trying and seeing improvement. It's peculiar because in fact, my favorite of all with my personal artwork is painting people - I just have a totally non-realistic approach. Here is the link for the Buffy Forum - Buffy 20 Years project - I think you can access without having to join. Thanks for the link! Such a great idea... :o) And I love your art. Can't wait to see what you come up with for SS. You have to do what works for you re approach. Everyone is so different and I don't think there are right or wrong ways to go about it! I wonder if they have a similar 20 year project for fic...Will have to search around later! I was thinking that Seasonal Spuffy would have had this round dedicated to the 20 Years Anniversary - maybe Elysian Fields should have that as a Short Story for couple of months. You should suggest it. You are so right about "No Wrong Way or Right Way" Ultimately, like with writing, you will only produce your best work when you have that special connection that comes with your passion and essential personal interest with your subject. ONLY THE GRANDEST MASTERS in ART can rely on technical prowess to create beautiful, exciting or compelling works. Looking at this I would never have guessed you find portraits difficult. He looks amazing! Thank You so much - my efforts are paying off with these new drawings. I'm pleased with the quality for this one - reflects the character of Spike without having to have all the "realistic" style. This page was loaded Apr 25th 2019, 11:56 am GMT.